Civil Appeal – Constitutional Law – Interpretation to be given to exclusion clauses of the Constitution – Whether Court can interfere in parliamentary procedures – Whether Court can question the certificate of election of the President issued by the Speaker of the House of Assembly – General and specific provisions – Sections 22(5) and 103(1) of the Constitution of the Commonwealth of Dominica – Application of section 121(11) of the Constitution of the Commonwealth of Dominica. On 15th August 2012, the Prime Minister met with the leader of the opposition, Hector John, to inform him that he intended to nominate Mr. Eliud Williams to be Dr. Nicholas J. Liverpool's successor as President and requested that Mr. John join him in the nomination of Mr. Williams. Mr. John inquired whether Dr. Liverpool had tendered his resignation and the Prime Minister confirmed that he had not. Mr. John subsequently informed the Prime Minister that he was unable to join in the nomination of Mr. Williams as President. On 24th August 2012, the Members of Parliament were informed by the Speaker of the House of Assembly that Dr. Liverpool intended to vacate the office of President and that the Prime Minister had consulted with the Leader of the Opposition but they were unable to agree on a joint nomination for his successor. The Speaker further indicated that as a result, nominations for President would be accepted from the Members of Parliament as stipulated by the Constitution. 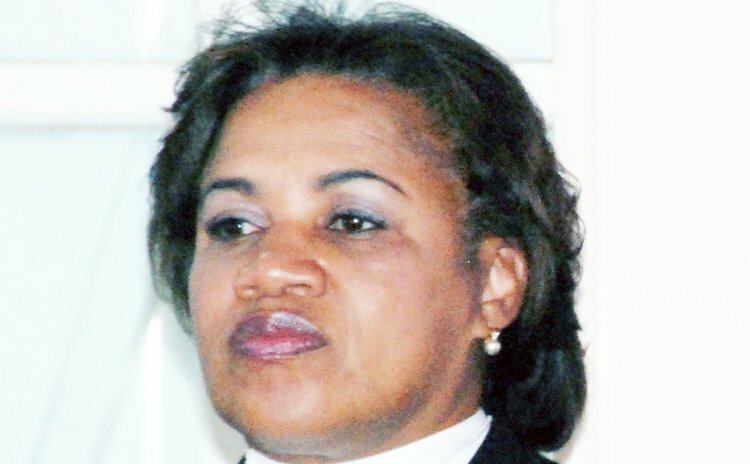 Mr. John and other Members of the opposition voiced their disagreement indicating that there had been no consultation because Dr. Liverpool had not yet tendered his resignation. On 17th September 2012, a meeting of Parliament was convened for the sole purpose of electing a President. The Members of the Opposition were absent and no excuse for their absence was provided to the Speaker. The election of the President was done by ballots cast by the Members of the House of Assembly present representing a majority of all the Members of the House, after which Mr. Eliud Thaddeus Williams was returned and declared by the Speaker to be elected as President. On 11th December 2012 the Speaker issued a certificate of election under the stamp of the House of Assembly. Prior to the issuance of the Speaker's certificate, Mr. John launched a claim in the High Court by way of Motion against the Prime Minister, the Speaker and the Attorney General, challenging the election of Mr. Williams as President. He sought a number of declarations and constitutional relief in relation to the procedure and process of the election. The Prime Minister, the Speaker and the Attorney General, in response, applied to strike out the claim on the basis that the claim: (1) disclosed no reasonable cause of action; (2) was frivolous, vexatious and an abuse of the court's process; (3) was barred by virtue of (i) Sections 22(5) and 103(1) of the Constitution and/or (ii) the privileges and immunities of Parliament; all three of which precluded the High Court from hearing, inquiring into or making any determination in relation to the election. The learned trial judge dismissed the application and ordered that the matter proceed to trial. The appellants appealed the matter on similar grounds raised in the court below. Held: allowing the appeal, granting the application to strike out the claim and making no order as to costs. It is well established that exclusion clauses in statutes as well as in constitutions, are ordinarily to be accorded a literal (as distinct from a liberal) interpretation. In essence, they must be treated as meaning what they say, and no more. Sections 22(5) and 103(1) of the Constitution should be interpreted literally. The framers of the Constitution, holding the office of President in the highest regard, sought to protect the integrity of the office from disrepute, which may arise out of a challenge to the electoral process. The most effective way to do this was to preclude any inquiry by the court into the process. In relation to section 22(5) it may be said that the framers of the Constitution provided a double shield. Firstly, they provided that the Speaker's certificate is conclusive evidence of the fact. Accordingly, this would not permit rebuttal evidence of the fact as sought to be established by the respondent. Secondly, section 22(5) goes on further to say, that the certificate stating that conclusive fact shall not be questioned in any court of law. The language could not be plainer as to its meaning. This was deliberate. To give any other interpretation to this provision would not represent the intention of the framers. In the matter of an application brought by Aubrey Norton 1997 No. 5932 applied, Lestrade v The House of Assembly and Others  LRC (Const) 48 applied. 2.Contrary to the argument presented by the respondent, section 121(11) of the Constitution does not allow the court to make an inquiry into the electoral process of the office of President and cannot be called in aid whenever any person or authority fails to follow a procedure provided for, or engages in a process not in compliance with the constitutionally provided methods. The Constitution cannot be seen to contradict itself or have competing provisions. Therefore, save for the very limited jurisdiction granted to the Court of Appeal in relation to challenges to the qualifications of a person to be nominated or elected to the office of President, it is clear that the court was not meant to have jurisdiction over the process of electing a President. Further, in the interpretation of the Constitution, general clauses cannot be seen to override the specific clauses. It becomes clear that section 121(11) of the Constitution is a general provision which must be read down and thus must give way to the specific provision of section 22(5), which ousts the Court's jurisdiction. To accede to the interpretation to this section offered by the respondent calls for ignoring the well-established rules of interpretation with the resulting conflict between the provisions. Such a course would promote uncertainty and lead to undesirable consequences, which would inevitably flow therefrom. Re Blake (1994) 47 WIR 174 and Browne v Francis Gibson (1995) 50 WIR 143 followed. International Management Group ( UK) Limited v Peter German, Hr Trustees Limited  EWCA Civ 1349 applied; Re Gerriah Sarran (1969) 14 WIR 361, Endell Thomas v The Attorney General of Trinidad and Tobago (1982) AC 113, Jones and others v Solomon 41 WIR 269, Smith v Mutasa et al  LRC (Const.) 87 distinguished. 3 The court may not impute fraud or improper conduct or motive to the Parliament or any officer or inquire into any matters within Parliament's jurisdiction. There is good reason for the separation of powers doctrine and it is in matters of this kind that we see its full merit. It is no part of the court's function or responsibility to meddle in parliamentary affairs particularly when the Constitution clearly precludes it from so doing. The office of President is one, which was meant to be held in the highest regard and subjected to the highest form of integrity. To allow the court to meddle into the affairs of the election process of the President is an affront to the dignity of the high office of President. It is a course, which a court, in the face of expressed exclusion ought to be loath to permit incursion no matter how inviting the invited excursion may appear to be. Hoani Te HeuHeu Tukino v Aotea District Maori Land Board  AC 308, British Railways Board v Pickin  AC 765 applied. PEREIRA, C.J. : The Commonwealth of Dominica ("Dominica") upon gaining full statehood, like a few of its Caribbean neighbours, cut its monarchial apron strings with the United Kingdom monarchy and became upon independence, a republic. Its Head of State is designated as the President. The President, unless nominated jointly to Parliament by the Prime Minister and the Leader of the Opposition, is elected to office, not by popular vote of the electorate of the state, but rather by the votes of the elected representatives of the electorate in parliament. The procedure for the election of a President is provided for in Dominica's Constitution. This appeal concerns the question whether Mr. Eliud Williams, who succeeded the then President Dr. Nicholas J. Liverpool as President, was duly elected to the said office. More importantly, it concerns the question whether, in the face of a certificate appearing on its face to have been regularly issued by the Speaker of the House of Assembly certifying that the President was duly elected in accordance with the provisions of the Constitution, the procedure adopted on the election is justiciable. In August 2012 the President of the Commonwealth of Dominica was His Excellency Dr. N. Liverpool. By letter dated 7th August 2012, the Prime Minister invited Mr. Hector John, the Leader of the Opposition to a meeting scheduled for 15th August 2012 for the purpose of consulting with him in respect of 'a matter relating to the Office of the President under the provisions of section 19(1) of the Constitution'. At the meeting, the Prime Minister informed Mr. John that he intended to nominate Mr. Eliud Williams as Dr. Liverpool's successor and requested that Mr. John join him in the nomination of Mr. Williams. Mr. John inquired whether Dr. Liverpool had tendered his resignation and the Prime Minister confirmed that he had not. In a brief letter dated 17th August 2012, Mr. John informed the Prime Minister that he was unable to join in the nomination of Mr. Williams as President. The Members of Parliament were summoned to a meeting of the House of Assembly on 24th August 2012. At that sitting the Speaker of the House read a letter from the Prime Minister indicating Dr. Liverpool's intention to vacate the office of President. The letter further indicated that the Prime Minister had consulted with Mr. John as Leader of the Opposition but the two of them were unable to agree on a joint nomination for election as President. The Speaker further indicated that as a result, nominations for President would be accepted from the Members as stipulated by the Constitution over the next 14 days until 7th September 2012. During the course of the parliamentary session of 24th August 2012 Mr. John and other Members of the Opposition voiced their disagreement as, in their view; there was no consultation process with Mr. John. The Opposition members indicated that in their opinion the consultation process could only be triggered by a vacancy in the post of President, which at the time of the Prime Minister's meeting with Mr. John on 15th August 2012 was not the case as Dr. Liverpool had not yet tendered his resignation. Therefore they posited that Mr. John's meeting with the Prime Minister could not be treated as consultation on the matter. 5 The Prime Minister, in response, noted that he was informed by Dr. Liverpool that due to health reasons it would not be possible for him to complete the term of the Presidency, which would constitutionally end in September 2013. The Prime Minister, also being aware of the fact that the effective date of resignation of the President would be the date of a letter by Dr. Liverpool indicating such, attempted to avoid a situation where the State would be left without a President and therefore consulted with the Leader of the Opposition at the meeting of 15th August 2012 in an effort to obtain a joint nomination for the new President. "Pursuant to the Laws of Dominica, I Hon. Alix Boyd Knights, Speaker of the House of Assembly of Dominica, do hereby Certify that at a Meeting of the House of Assembly, Victoria Street, Roseau, Dominica on Monday 17th September 2012 Mr. Eliud Thaddeus Williams, was duly elected to the Office of President of the Commonwealth of Dominica, in accordance with section 19 of the Constitution of Dominica Speaker of the House of Assembly of Dominica"
Prior to the issuance of the Speaker's certificate the Leader of the Opposition had launched a claim in the High Court by way of Motion against the Prime Minister, the Speaker and the Attorney General challenging the election of Mr. Williams as President. He sought a number of declarations and constitutional relief in relation to the procedure and process of the election. The Prime Minister, the Speaker and the Attorney General, in response, applied to strike out the claim on the basis that the claim: (1) disclosed no reasonable cause of action; (2) was frivolous, vexatious and an abuse of the court's process; (3) was barred by virtue of (i) sections 22(5) and 103(1) of the Constitution and/or (ii) the privileges and immunities of Parliament;which precluded the High Court from hearing, inquiring into or making any determination in relation to the election. "I have given careful consideration to the arguments and authorities cited in this matter and in all the circumstances, I hold that the Court has jurisdiction and the claim is not frivolous, vexatious nor an abuse of the process of the court. (a)Whether there was consultation as contemplated by the Constitution. (b)Can the procedure under section 19 of the Constitution for the election of a President be commenced in circumstances where a vacancy does not exist? (c)How does the doctrine of necessity fit into the constitutional arrangements for the election of a President in circumstances where the constitution itself contemplates a short time lapse between the departing of the sitting President and the arrival of his successor? (d) Is the election of the President an internal parliamentary matter in which the courts cannot interfere? 1 At paras. 31 and 32 of the judgment. 2 At para. 33 of the judgment. The appellants have appealed, and essentially contend that the learned trial judge erred in not striking out the claim and that he ought to have done so on the basis that the matters complained of were non-justiciable by virtue of sections 22(5) and 103(1) of the Constitution, and otherwise by virtue of the immunities and privileges of Parliament. The main focus of the appellants' appeal is section 22(5) of the Constitution. They contend that by virtue of section 22(5) the election of a Head of State by Parliament in the Commonwealth of Dominica is not a justiciable issue and therefore the court ought not to engage in any review of the process. They argue that the purpose of section 22(5) is twofold; firstly it serves as conclusive evidence that the President was elected in accordance with section 19 of the Constitution and secondly it precludes the Speaker's certificate from being challenged in the court. The respondent, on the other hand, argues that notwithstanding sections 22(5) and 103(1) of the Constitution, section 121(11) of the Constitution empowers the court to make a determination in cases such as this one which point to impropriety and possibly invalidity of the election process. He says that there are instances where an ouster clause may not entirely oust the jurisdiction of the court and the court may in fact be empowered to look behind such a clause to make a determination on issues such as whether the action was legal or whether the proper steps were followed for a particular process. The respondent is of the opinion that this is such a case. 3 (1969) 14 WIR 361. 4 ibid at p. 371 B-C. 5 (1982) AC 113. 6 41 WIR 269. 7  LRC (Const) 87. (d)Further, the certificate was void for vagueness, inoperative, and contraryto the provisions of s 6(1) as it had not specified the matters considered to be questions of privilege. The respondent, drawing upon the principles set out in the cases of Re Sarran, Endell Thomas and Smith, asserts that the manner in which the appellants conducted the election process of the President, by invoking the doctrine of necessity, was in direct disobedience to sections 19 and 1198 of the Constitution. To further exacerbate the situation, the certificate, he says, was issued by the Speaker to invoke parliamentary immunity and privilege and thereby prevent 8 Section 119 of the Constitution provides, among other things, for the President to resign his office by writing under his hand addressed to the Speaker, where, upon receipt by the Speaker, the office becomes vacant. The respondent argues that these provide good reasons why the court is empowered under section 121(11) to go behind the certificate and examine the election process as it was not done in accordance with the Constitution. He argues that the certificate is not conclusive unless the court finds that the election process was valid. "No provision of this Constitution that any person or authority shall not be subject to the direction or control of any other person or authority in the exercise of any functions under this Constitution shall be construed as precluding a court of law from exercising jurisdiction in relation to any question whether that person or authority has exercised those functions in accordance with this Constitution or any other law." Therefore, he urges, that by virtue of this provision, any procedure not done in accordance with the Constitution or any other law may be subjected to scrutiny by the court. The trial judge accordingly concluded that the matters raised presented a dispute and the court, as the bastion of the Constitution, must be the final arbiter. 9 At para. 30 of the judgment. (a)the matter in issue related to an Act of Parliament, as distinct from a constitutional provision, where the court was empowered to ascertain whether the privilege claimed in fact existed. This was quite different to the case at bar. The Constitution itself provided for the election of the President by the Parliament. (b)s. 6(1) of the Act did not create a 'conclusive evidence' ouster clause of the nature as created by section 22(5) of the Dominica Constitution. The same Constitution created the 'conclusive evidence' ouster clause and further, expressly barred inquiry by the court in relation to the Speaker's certificate issued in relation to that election process. "19. (1) Whenever the office of President is vacant or the term of office of the President is due to expire within not more than ninety days, the Prime Minister shall consult with the Leader of the Opposition as to their joint nomination of a suitable candidate for election as President. (2) If the Prime Minister and the Leader of the Opposition submit to the Speaker by writing under their hands a joint nomination of a candidate for election as President to which that candidate has consented, the Speaker shall inform the House of the nomination, and declare that candidate to have been duly elected without putting the question to the vote. (3)If the Prime Minister is unable to agree with the Leader of the Opposition as to their joint nomination of a candidate for election as President, he shall notify the Speaker to that effect and the Speaker shall inform the House accordingly. (4)The Prime Minister or the Leader of the Opposition or any three Members of the House may, during the period expiring fourteen days after the day on which the House has been so informed, submit to the Speaker by writing under their hands nominations of candidates for election as President and the Speaker shall at the first meeting of the House after the expiration of that period and before the House proceeds to any other business inform the House of the nominations he has received and to which the candidates concerned have consented. (5A) Where the only candidate for election under subsection (5) of this section does not receive the votes of a majority of all the members of the House, the Speaker shall inform the House accordingly and a new election shall be held to which the provisions of subsections (4) and (5) of this section shall, mutatis mutandis, apply. (6)Where a person consents to be nominated for election as President he shall do so by writing under his hand addressed to the Speaker. Section 22 may be said to be dealing with the jurisdictional limits of the Court and the functions and powers of the Attorney General or members of the House in relation to the Office of President. It states as follows: "(1) The Court of Appeal shall have jurisdiction to hear and determine any question whether any person is qualified to be nominated for election, or elected, as President. (2)An application to the Court of Appeal for the determination of any question under this section may be made by the Attorney General or by any other member of the House and, if it is made by a member other than the Attorney General, the Attorney General may intervene and may then appear or be represented in the proceedings. (3)The powers, practice and procedure of the Court of Appeal in respect of any application for the determination of any question under this section, including (without prejudice to the generality of the foregoing) the time in which and the conditions upon which an application may be made, shall be regulated by such provision as may be made by Parliament. (4)No appeal shall lie from any decision of the Court of Appeal under this section. (5)A certificate under the hand of the Speaker stating that a person was declared to have been duly elected under section 19 of this Constitution shall be conclusive evidence of the fact so stated and shall not be questioned in any court of law. [20 As already recited above, section 103(1) of the Constitution begins by expressly stating that it is subject to section 22(5), which deals with the conclusiveness of the Speaker's certificate in respect of the election of a President and which further expressly states that such certificate is non-justiciable. It bears note that no challenge has been made to the certificate's authenticity, neither is it asserted that the certificate on its face is irregular in any way. Rather, the challenge here is to the procedure or the process of the election of the President, notwithstanding the certificate which states due compliance with the procedure and process. The respondent, in essence, invites the court to look behind the certificate. Although the learned trial judge expressed the sentiment that the framers of the Constitution never intended that the office of President should become entangled in controversy, he still went on to find that the integrity of the Speaker's certificate was in question and that under section 103(1) of the Constitution the court had jurisdiction to entertain the claim.13 This he found, notwithstanding that section 103 begins by expressly stating that it is subject to section 22(5). 10 1997 No. 5932. 11 ibid at p. 13. 12 ibid at p. 14. 13 See para. 25 of the judgment. "In the affidavit of the learned Attorney General is evidenced a certificate signed by the Speaker of the House of Assembly certifying that on 19th December, 1983, Clarence Henry Augustus Seignoret was declared by her to have been duly elected President of the Commonwealth of Dominica in accordance with the provisions of section 19 of the Constitution. The authenticity of this Certificate has not been challenged in any way by the applicant and I find it to be genuine. Having accepted it in evidence and having found it to be genuine I agree with the submission of the learned Attorney-General that having regard to the provisions of section 22(5) of the Constitution (supra) the Speaker of the House having certified under her hand that Clarence Henry Augustus Seignoret was duly elected President of the Commonwealth of Dominica in accordance with the provisions of section 19 of the Constitution, that that is conclusive evidence of the fact so stated and it cannot be questioned in any Court of law." In my view, sections 22(5) and 103(1) should be interpreted literally. The framers of the Constitution, holding the office of President in the highest regard, sought to protect the integrity of the office from disrepute, which may arise out of a challenge to the electoral process. The most effective way to do this was to preclude any inquiry by the court into the process. In relation to section 22(5) it may be said that the framers of the Constitution provided a double shield. Firstly, they provided that the Speaker's certificate is conclusive evidence of the fact. Accordingly, this would not permit rebuttal evidence of the fact as sought to be established by the respondent. Secondly, section 22(5) goes on further to say, that the certificate stating that conclusive fact shall not be questioned in any court of law. The language could not be plainer as to its meaning. This was deliberate. To give any other interpretation to this provision would not represent the intention of the framers. This position is further bolstered by the fact that the Constitution makes provision for the aspects relating to the Presidency, which may be challenged. The only involvement of the court in this process is set out in section 22 of the Constitution. Section 22(1) recited above, speaks specifically to a challenge only in regard to the qualification of the holder or a nominee for such office. The jurisdiction given however is to the Court of Appeal and not the High Court, the decision from which no further appeal lies. There is no other provision under Chapter 2 which allows a challenge to the President or the electoral process for the Office. I am therefore of the view that outside such a circumstance, the court has no jurisdiction to interfere. It remains strictly a parliamentary matter, the windows of which have been expressly shielded from the inquiring eyes of the court. "Section 99 is a general section governing imperial appeals generally. Section 36(8) is a specific section prohibiting imperial appeals from the decisions of this court on appeal from final decisions of the High Court determining questions as to the validity or otherwise of elections and appointments to Parliament. Section 99 should therefore be read subject to section 36(8). Otherwise, there would be a conflict between section 99 and section 36(8) of the Constitution. Assuming that there is such a conflict, it must be resolved by reference to the rule of interpretation which governs such conflict. According to that rule the ascertained leading provision prevails over the ascertained subordinate provision." 17 ibid at p. 180. 18 (1995) 50 WIR 143 at 147. Similarly, in International Management Group (UK) Limited v Peter German, Hr Trustees Limited 19 Mummery LJ had this to say at paragraph 21 of his judgment: "The Court ought to apply the general principle of statutory interpretation that, where a generally expressed provision of an Act might be construed as repealing a specific provision, but might also be construed as leaving the specific provision unaffected, the latter construction should be adopted: Bennion on Statutory Interpretation (5th ed.) (2008) pp 306-307." Applying these principles and rules of interpretation to the present case, it becomes clear that section 121(11) of the Constitution is a general provision which must be read down and thus must give way to the specific provision of section 22(5), which ousts the Court's jurisdiction. To accede to the interpretation of this section offered by the respondent calls for ignoring the well-established rules of interpretation with the resulting conflict between the provisions. Such a course would promote uncertainty and lead to undesirable consequences, which would inevitably flow therefrom. In my opinion, the Constitution is quite clear and this is further evidenced by the fact that while section 22(1) vests jurisdiction only in the Court of Appeal to determine a specific question, section 103(1) allows for matters not excluded from the section to be brought to the High Court. This shows that there isn't a general or all-encompassing jurisdiction given to the court. The jurisdiction given is limited to the purpose and the court. This, to my mind, further supports the view that section 121(11) cannot, as a general provision, be construed so as to allow a reading down of section 22(5). The ouster clause in section 22(5) is not of general application in the Constitution but rather is confined strictly to the matter of the election of a President of the state – a necessary Office in respect of the legitimacy of any government of the State. 19  EWCA Civ 1349. Whilst I am in complete agreement with the principles set out in the cases of Re Sarran, Smith, and like cases, I agree with the appellants, for the reasons they have advanced, that they are distinguishable and are inapplicable to the case at bar. Here, the matter does not concern an Act of Parliament in respect of which the court is always empowered to examine against the mirror of constitutionality. Rather, the provisions engaged here are those of the Constitution itself. It is the Constitution which provides for Parliament to elect the President and it is the Constitution (section 22(5)) which says that the Speaker's certificate stating that the election was in accordance with section 19 of the said Constitution 'shall be conclusive evidence of the fact so stated and shall not be questioned in any court of law'. Here, the Speaker's certificate stated this fact precisely and specifically. It was neither vague nor ambiguous. Section 22(5) of the Constitution is clearly intended to oust the jurisdiction of the court. It is clear that this certificate creates an irrefutable factual presumption that Parliament complied with the provisions of section 19 of the Constitution. The Speaker's certificate, once authentic or not tainted by irregularity on its face, operates as a complete shield against any judicial inquiry. It is apparent that the framers of the Constitution did not want to subject the Office or the electoral process of the President to any interference by the court and for good reason. The highest Office of the State must be insulated from controversy. Additionally, section 103(1) which is a supportive provision made subject to section 22(5), makes it clear that although judicial relief can be sought in the High Court for some challenges made under certain sections of the Constitution, a challenge made under section 22(5) is not one of them. I also agree with the appellants that the doctrine of separation of powers provides support for this view. It is clear that the election of a President is a parliamentary process of which the court is given limited jurisdiction. Outside of the expressed jurisdiction given under section 22, the court has no power to intervene and ought not to arrogate to itself such power by turning its face against a clear and specific ouster clause by praying in aid a general provision. Counsel for the appellants contend that the respondent had the opportunity to attend the meeting of the House of Assembly at which time he was free to voice his opposition to the nomination of Mr. Williams, yet he failed to do so. I agree. The only challenge open to the electoral process of the President by the respondent was in Parliament. Having failed to do so the respondent is estopped from coming to the court to seek redress as the Constitution specifically precludes the court from delving into such parliamentary matters. I agree with the appellants that the trial judge was flawed in his reasoning. The only challenge which the constitution allows in relation to the President is at section 22(1) and is on the issue of whether that person is qualified to be nominated for election, or elected as President. There has been no challenge to the certificate, and in the circumstances of this case rightly so. "It is not open to the court to go behind what has been enacted by the legislature, and to inquire how the enactment came to be made, whether it arose out of incorrect information or, indeed, on actual deception by someone on whom reliance was placed by it. The court must accept the enactment as the law unless and until the legislature itself alters such enactment, on being persuaded of its error. The principle laid down in Labrador Company v. The Queen (1) [ A.C. 104], referred to by the Court of Appeal, is directly applicable. Lord Hannen, in delivering the judgment of the Board, states (2) [Ibid. 123]:—'This is an absolute statement by the legislature that there was a seigneurie of Mingan. Even if it could be proved that the legislature was deceived, it would not be competent for a court of law to disregard its enactments. If a mistake has been made, the legislature alone can correct it. The Act of 1941 Parliament has declared that there was a seigneurie of Mingan, and that thenceforward its tenure shall be changed into that of franc aleu roturier. The courts of law cannot sit in judgment on the legislature, but must obey 20  AC 308. I accept and am in agreement with the reasoning expressed in Hoani Te HeuHeu Tukino v Aotea District Maori Land Board and British Railways Board v Pickin. There is good reason for the separation of powers doctrine and it is in matters of this kind that we see its full merit. It is no part of the court's function or responsibility to meddle in parliamentary affairs particularly when the Constitution clearly precludes it from so doing. The office of President is one, which was meant to be held in the highest regard and subjected to the highest form of integrity. To allow the court to meddle into the affairs of the election process of the President is in my view an affront to the dignity of the high office of President. It is a course, which a court, in the face of expressed exclusion ought to be loath to permit incursion no matter how inviting the invited excursion may appear to be. Notwithstanding the general rule providing for costs to follow the event, neither party has sought an order for costs. Given the nature of the matter I consider it appropriate to make no order as to costs.